During the Canadian citizenship test, there are a few proven steps that will help you tackle the questions and answers. Step 1: answer the easy questions first. If you sufficiently practiced the study guide, chances are you know for sure the answer to at least half of the questions. So don’t get stuck on the hard questions right now, just move on to the next question every time you are facing a hard question. You will be able to come back to the hard questions in a next step. This is not the time right now to dwell over a question for too long. That would just increase your stress level, leave you less time for the easy questions, and decrease your self-confidence, and maybe your concentration too. While it is important to budget your time (the test is only 30 minutes), do not rush through the easy questions neither. This test is a multiple choice test, which means that the right answer will be among three other similar answers and that can be confusing. So read the easy questions and multiple choice answers twice, and make sure you fully understand the nuances between the different answers so that you do pick the right one. Step 2: relax for a minute. Ok so now you have answered all the easy questions of your Canadian citizenship test, but you might still be stressed out. So take a deep breath, stretch a bit on your chair, and remind yourself that you’ve already done a big chunk of the test. Go back to the unanswered questions, and look for clues in the questions. 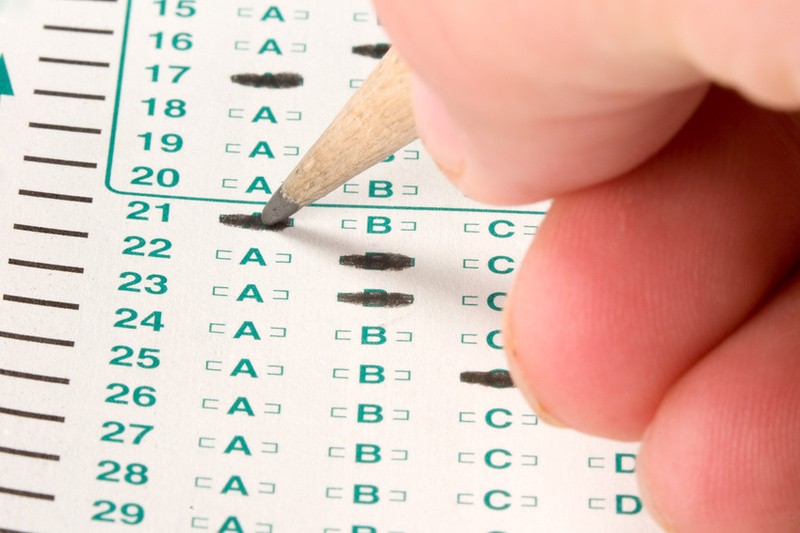 In most multiple choice tests, you can eliminate one or two answers simply by paying attention at how the question is worded. The syntax of the question might trigger memories of the right answer. But don’t agonize over one question for 10 minutes. If you really don’t know the answer, go to the next hard question. Once you have confidently answered all the hard questions that you could possible tackle, go to the next step for the few remaining unknown questions. Step 4: time to trust your instinct or to guess. Follow your instincts. When you first read the question, what was your first reaction, the first answer that seemed right to you? Pick this one, as usually your first immediate reaction should be the right one. If you had no first reaction, no instinct for some questions, then you will have to simply guess the answer. At this point, you should have answered most of the questions (assuming you studied well). So guessing gives you additional chances to get more points. Good luck on your Canadian citizenship test day! Read our article on how to prepare for this test: New Canadian citizenship test – How to prepare for it. Need help preparing for your citizenship test? Learn more about our Canadian Citizenship Test – complete online training program! Why does your website have not any contact information for your company? Then how can we claim the refund back? Hello May Liu, you can send us a message through our contact form: http://www.citizenshipsupport.ca/contact-form/, and we will be happy to give you a refund if you meet all the requirements (see http://www.citizenshipsupport.ca/terms/). Good luck on your test! Hi dear, is there any result of failing and you refunded their money back? Could you tell me honestly? Honestly, over the years, we only had to refund one person for failing their test. I am very happy to know that in years you guys been around, only 1 person who asked for a refund. May God bless me as I am expecting the citizenship test any weeks from now. I studied your website and I could say, I am 95% ready for the test and even studying the Discover Canada by heart. I will definitely gonna give you guys a feedback :).. Wishing all the best :)..